Restaurants and other businesses should have a period of time to investigate and fix alleged accessibility problems before lawsuits are filed, the National Restaurant Association said in testimony submitted to Congress recently. Weekly Update: What does the Supreme Court ruling on health care mean for restaurants? More than a week after the Supreme Court has upheld the 2010 health care law’s individual mandate, restaurateurs look to industry insiders to help them navigate through the changes to come. The Seattle Office of Civil Rights, after modifications resulting from feedback by the WRA, Seattle Restaurant Alliance, and operators throughout Seattle, has come out with a finalized version of the rules governing the upcoming paid sick/safe leave mandate set to go into effect September 1. In June, the Washington Restaurant Association (WRA) and the 1183 Coalition filed a lawsuit over the Liquor Control Board’s (LCB) unauthorized rulemaking to implement 1183. The lawsuit will challenge the rulemaking in five areas. There can be many hidden surprises when you buy a used car. The same can apply when you buy a restaurant, bar or food cart. Rev. Rul. 2012-18 provides guidance in a question-and-answer format regarding social security and Medicare taxes imposed on tips under the Federal Insurance Contributions Act (FICA), including information on distinguishing between tips and service charges, the credit under Sec. 45B for employer social security and Medicare taxes, and the rules for reporting the employer share of FICA under the notice and demand provisions of Sec. 3121(q). Restaurateurs need to begin preparing to implement the health care law’s requirements for employers even though key regulatory guidance is still missing and legislative changes may be necessary, the National Restaurant Association’s labor and workforce team told NRA members. Restaurateurs are planning for more capital spending throughout the rest of the year, the National Restaurant Association reports. WRA members are understandably vocal about their desire for major reform to the state’s minimum wage law. Realistically, the WRA recognizes that this will be a significant challenge; however, there is still much ground work that can laid to help ease the incredible burden of labor costs on the state’s restaurant operators. The WRA has long advocated for tip pooling, an allowance that would deliver a greater amount of pay equity between tipped and non-tipped employees. The Washington Restaurant Association (WRA) is excited to introduce its new claims management company, ERNWest. Effective Aug. 1, 2012, ERNWest will assume the WRA’s Retro member’s claims services for the entire Retro Program. This change is a result of an extensive evaluation by the WRA’s Retro Task Force, MSC board and several member risk managers. The WRA launched the Retro Task Force as a means to ensure our members are getting the greatest value and the greatest service from our providers, which resulted in an in-depth review of our program. The entire process took 12 months, and after careful consideration of several key factors, the MSC Board has decided to switch from Integrated Claims Management (ICM) to ERNWest. The ongoing drought in the Midwest is threatening the nation’s corn crop, which will result in even higher food costs for the restaurant industry, a commodities expert said. More than a week after the Supreme Court has upheld the 2010 health care law’s individual mandate, restaurateurs look to industry insiders to help them navigate through the changes to come. The court called the mandate a tax under Congress’ tax-and-spend authority as cited in the U.S. Constitution. The Supreme Court’s decision to uphold most parts of the 2010 health care law means full steam ahead for employer compliance with the law — at least in the near term, according to legal experts from the restaurant industry. For location details, contact Zooie Arnold at zooiea@wahospitality.org. 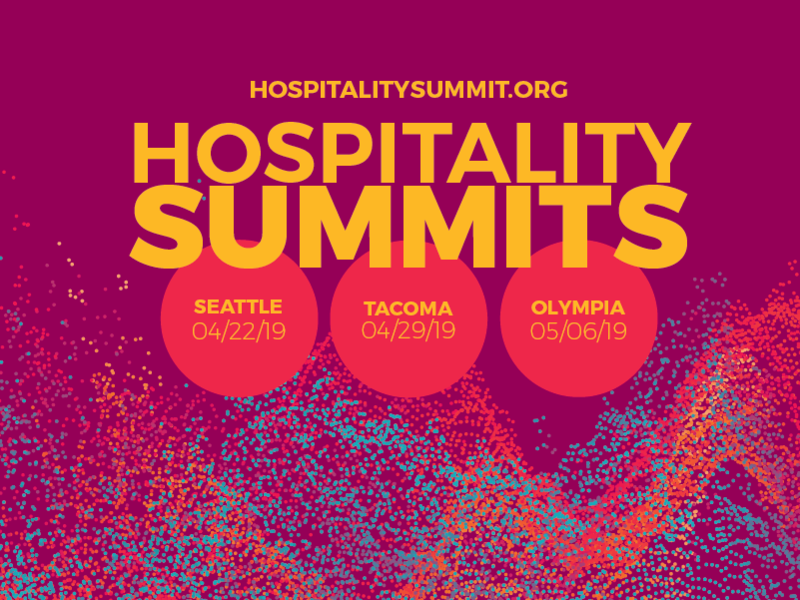 Weekly Update: Hospitality Summit series is about to begin – register today! What is a no-match letter? Join fellow members of the hospitality industry as we explore topics to help improve how you run your business and increase your bottom line. With keynote speakers who understand your challenges and resources to overcome any obstacle, this event is a must for the industry. Attendees must register before the deadline. Walk-ins are not accepted and will be turned away. Our ServSafe Manager classes are offered in a one-day review format. Upon registration, attendees will be mailed a ServSafe Manager book to study prior to attending the class. The WHAEF closes registration for classes two weeks in advance of the class date to ensure each attendee has ample time to study. The day of the class the attendee will received approximately four hours of review of the ServSafe Manager materials. This information is presented through videos, PowerPoint presentations, time for Q&A and led by certified, industry experienced instructors. Review is followed by the ServSafe Manager exam, proctored by the class instructor. The exam is multiple choice and available in multiple languages, large print and an instructor version is available for those interested in becoming a ServSafe instructor for their own establishment. The instructor exam is only available in English. A passing score is 75% regardless of the exam type. Successful attendees will receive their ServSafe Manager certificates three to four weeks after the date of the class. Attendees who do not pass the exam can retake the course and exam up to three times in a 12 month period (additional fees for retakes will apply). Each month, members of the Seattle Restaurant Alliance meet for industry updates, presentations on a hot topic and a discussion on a trending topic or best practices. Meetings are also a great place to strengthen your connection to fellow restaurateurs. All Seattle restaurant owners and managers are welcome. Click here for details on specific meetings. For questions about meetings, please contact Teddi McGuire at teddim@wahospitality.org. Review is followed by the ServSafe Manager exam, proctored by the class instructor. The exam is multiple choice and available in multiple languages, large print and an instructor version are available for those interested in becoming a ServSafe instructor for their own establishment. The instructor exam is only available in English. A passing score is 75% regardless of the exam type. For location details, please contact Kelsi Mayther at kelsim@wahospitality.org. For location details, contact Teddi McGuire at teddim@wahospitality.org. The day of the class the attendee will receive approximately four hours of review of the ServSafe Manager materials. This information is presented through videos, PowerPoint presentations, time for Q&A and led by certified, industry experienced instructors. For location details, please contact Victoria Olson at victoriao@wahospitality.org. For location details, contact Tobby Hatley at tobbyh@wahospitality.org. The review is followed by the ServSafe Manager exam, proctored by the class instructor. The exam is multiple choice and available in multiple languages, large print and an instructor version are available for those interested in becoming a ServSafe instructor for their own establishment. The instructor exam is only available in English. A passing score is 75% regardless of the exam type. © 2018 Washington Hospitality Association | Our mission is to help our members succeed. USA. All Rights Reserved.